Designing flowers and growing your own is like living in two worlds, which when you think about it, doesn’t really make sense. Growing, picking and working with flowers is kind of logical. But at this time of year, the garden is cold and muddy and there are no flowers at all in our fields. 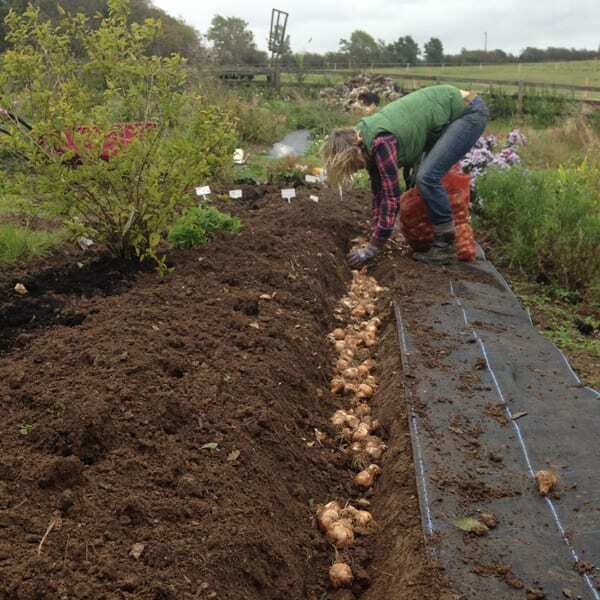 The polytunnel has given us a steady flow of forced narcissi and a place to hide from the wind and rain. Young ranunculus leaves are looking healthy and strong next to the autumn sown ‘annuals’ and emerging anemone flowers. For us ‘Behind the Scenes’ means the garden or the laptop. From finishing the end of year accounts (agghhh!) 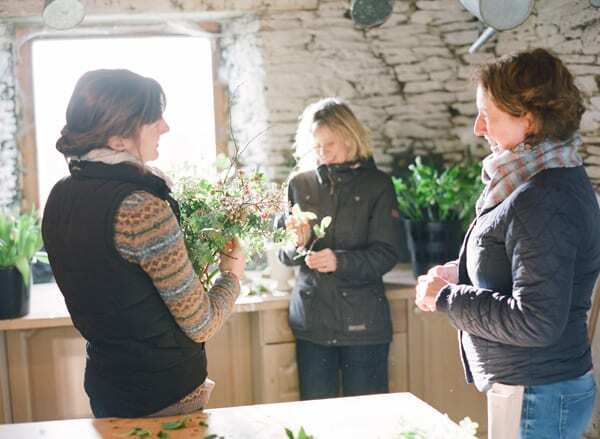 to bridal consultations, taking bookings and organising workshops, redesigning our logo, and then planting bulbs for spring and early summer, pruning, weeding, mulching, sowing seeds…the last few weeks have actually been quite busy. 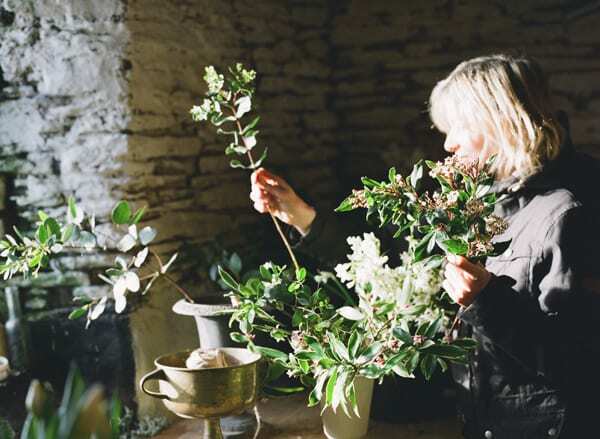 Out of wedding season, we’ve launched more workshops offering classes ranging from wild and loose wedding flowers to starting up a business like ours. These are proving more and more popular, especially our individually tailored one to one days. Recently, we had a workshop with Fenella. 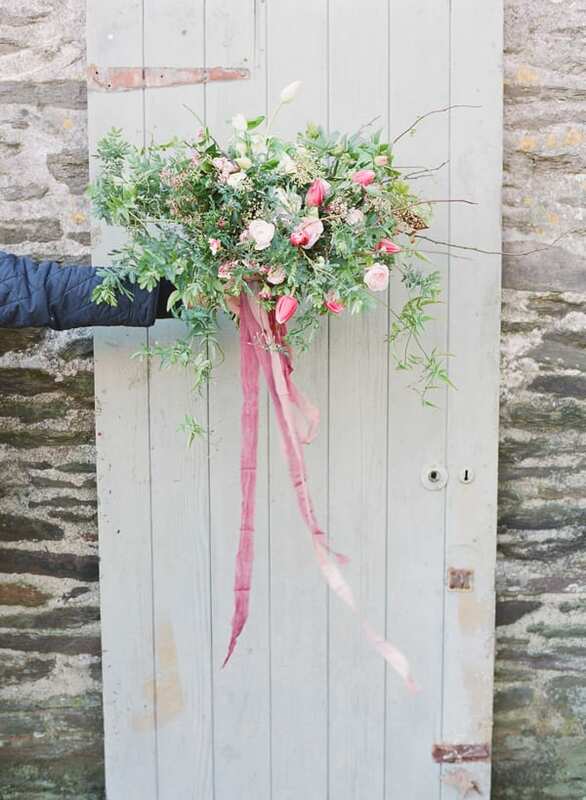 She has been on a couple of our workshops over the last few months, including one where she picked and designed beautiful Dutch Masters inspired arrangements, using armfuls of our roses and dahlias. 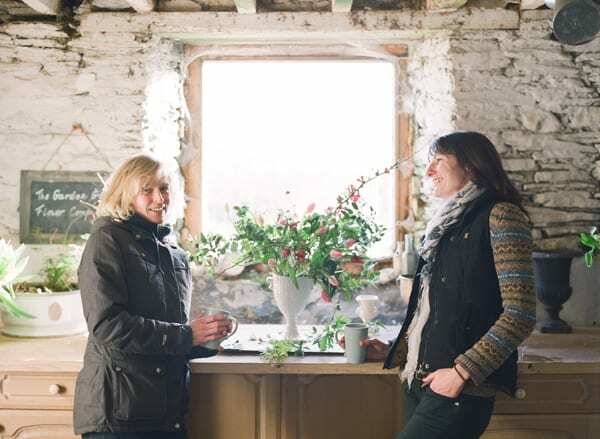 After a few ‘research’ emails, swapping pictures and ideas, we met at the farm on a blustery but sunny day. Becca and I also managed to forage in a neighbour’s shrubbery for some pretty abelia and elegant white Chaenomeles japonica. Our mimosa provided some background texture, together with a few sprigs of Viburnum tinus and eucalyptus. Our friend Louise, from Taylor and Porter Fine Art Film Photography, also came along to take some pictures for this post and promotional material for upcoming workshops. We met Louise through a small photo shoot we did together with The Natural Wedding Company a few years ago, and have since collaborated on a few shoots that have been published on some very nice wedding blogs. Cultivating this kind of relationship and working on shoots means we’ve had some fantastic editorial and met some great people. But it all takes a good deal of organising too. As floral designers who grow our own flowers, we lead very different lives to those who don’t grow. The farm is certified organic, therefore everything we do has to be done without chemicals. This mostly means more elbow grease from us. 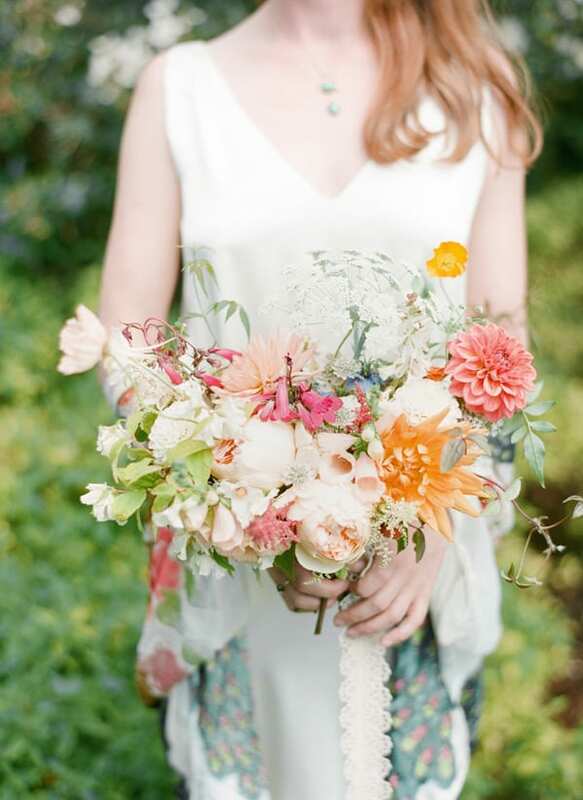 Becca fronts the business as the first point of contact for brides, consultations and enquiries. Early in the year, this takes up all of Becca’s time and by late spring she spends more time in the garden. 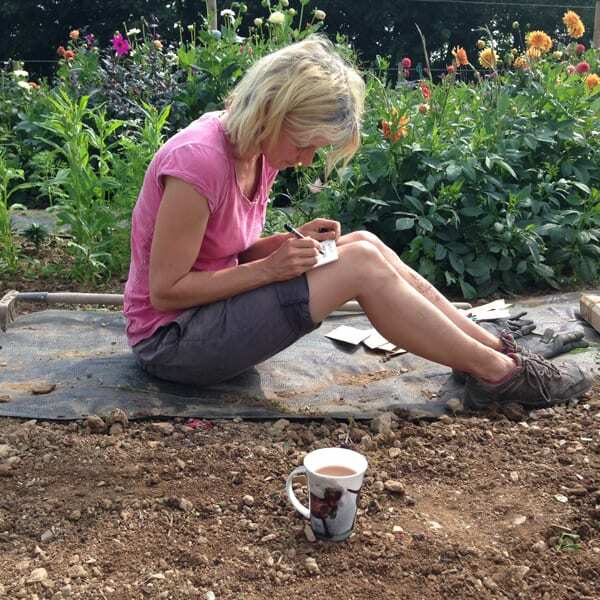 I design and build our website, do all the ‘writing’ and am in charge in the garden. 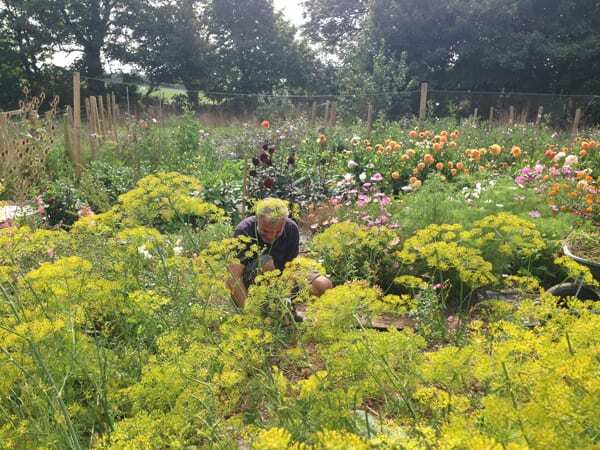 So, from planning what to grow in the coming season to actually sowing the seeds and potting on more seedlings, to endless weeding and watering, then picking or deadheading regularly. And this is all before we have really given a wedding a second thought. The real beauty in what we do is that we can grow flowers especially for a wedding. We feel like the service we offer is truly bespoke. 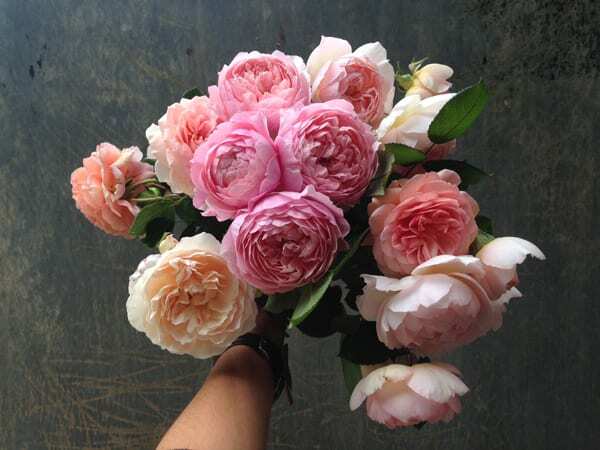 From spending time at the design and consultation stage to growing flowers which can be picked at the moment of perfection, we really take pride in the fact that our roses smell like roses and that the dew has just dried from their petals. When the weather starts to warm up, there is more and more that needs doing in the garden and also the wedding season really starts to get going. Becca will spend Monday in the ‘office’, while I will usually clear up after the weekend’s wedding. Then Tuesday and Wednesday, we spend in the garden, often with Mark who helps us out in the summer. Thursday is usually spent picking, so the flowers will be properly conditioned for Friday. Fridays, we both work on the flowers together. 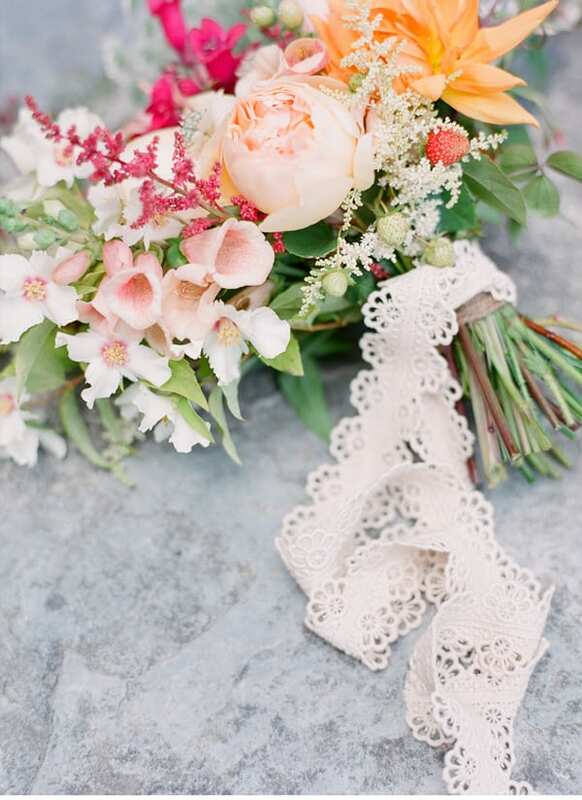 We work together on many of our weddings and find we both bring something different to the design process. We hope this is what gives us our signature style! Saturday mornings usually mean an early start and us driving in different directions for smaller weddings or together in convoy for larger ones. 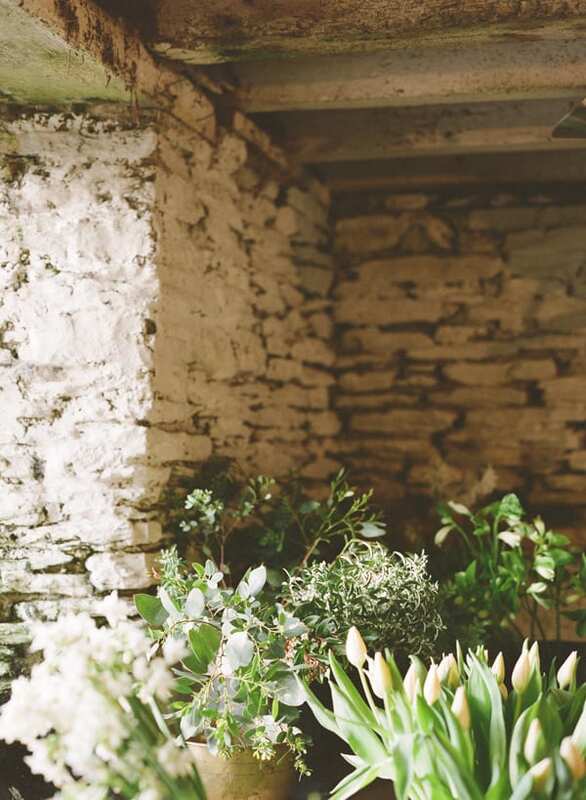 Seeing the bride’s face when we walk in with her bouquet is what makes the hard work of the garden really worthwhile, and helps us to remember that all those bulbs we planted in the mud will grow into beautiful tulips, fritillaries, iris and narcissi come spring. 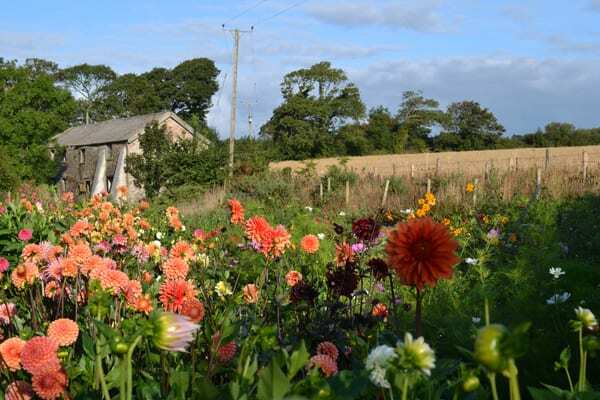 There really is no ‘typical’ day in our schedule, although a pattern of gardening, office work and wedding flower preparation begins to emerge in late spring and carries on into autumn. 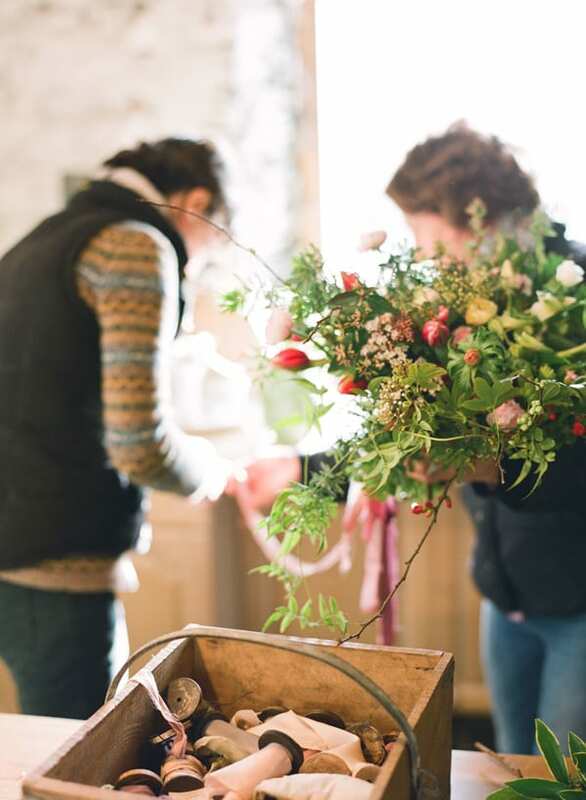 We hope we offer something rare and special because of all the ‘Behind the Scenes’ energy and thought which goes into every wedding we do and every workshop we offer. Thank you so much to Becca and Maz for all their help. I highly recommend popping over to The Garden Gate Company website to see more of their beautiful work. Social media wise, you can find the ladies on Facebook, Instagram (a ‘must’ follow!) and Twitter. P.S. You may like to read this interview to discover more about their company, which I featured on Flowerona almost exactly two years ago.